We manufacture various full series of screwdriver bits with different headtype, such as PH, PZ, Torx, Hex, Security Torx, square, slot, etc. We use real raw material from Taiwan Cr-V steel, in 6150, 8660, S2 and so on. Overall length are available on 25mm, 32mm, 50mm, 60mm, 70mm, 90mm, 100mm, 120mm, 150mm etc. 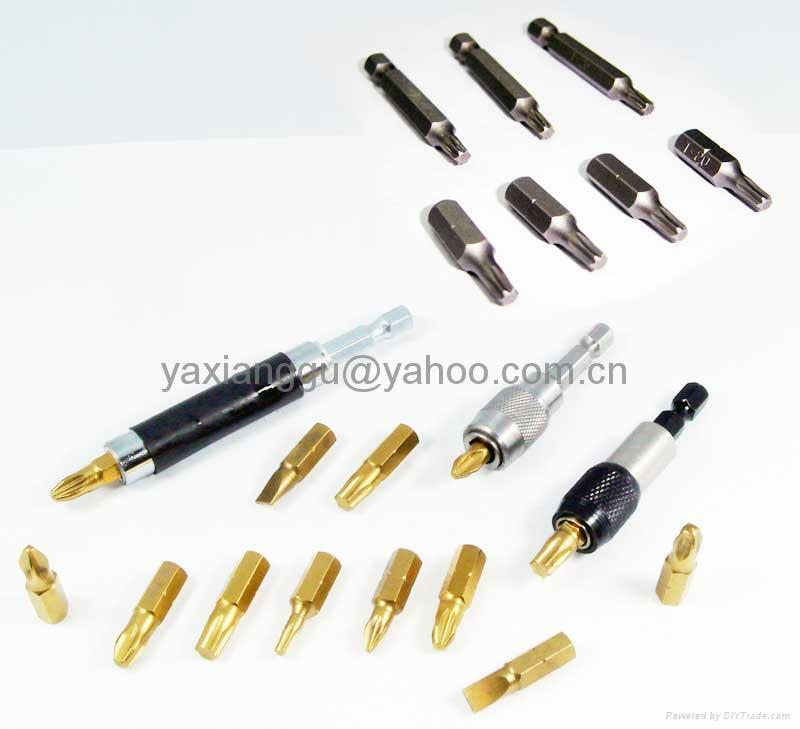 We also can do those various sizes of screwdriver bits upon customer's special requests. Single end and double end are both available. We guarantee that professional screwdriver bits with high torque and hardness. Surface treatment is Sandblasted, Tin-coated, Cu-coated, Ni-coated, Cr-coated, etc. Package: Double blister, single blister, skin package, color box, injeciton box, plastic tube. PVC bag, etc.